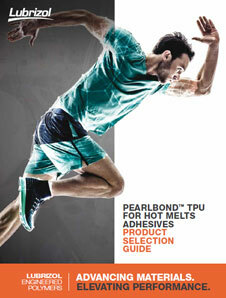 Pearlbond™ 1160L by Lubrizol is a linear, aromatic polyurethane. It is supplied in form of white or slightly yellowish pellets. It combines a high crystallization rate and a high thermoplasticity level. 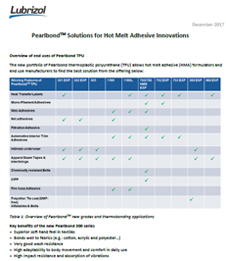 It is used for obtaining PU films by extrusion (blow and cast) for solvent-free adhesion, by heat-seal process. 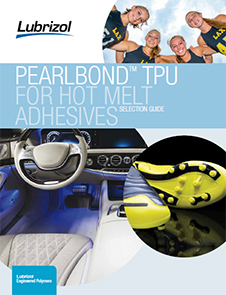 Pearlbond™ 1160L is used for hot melt adhesives.